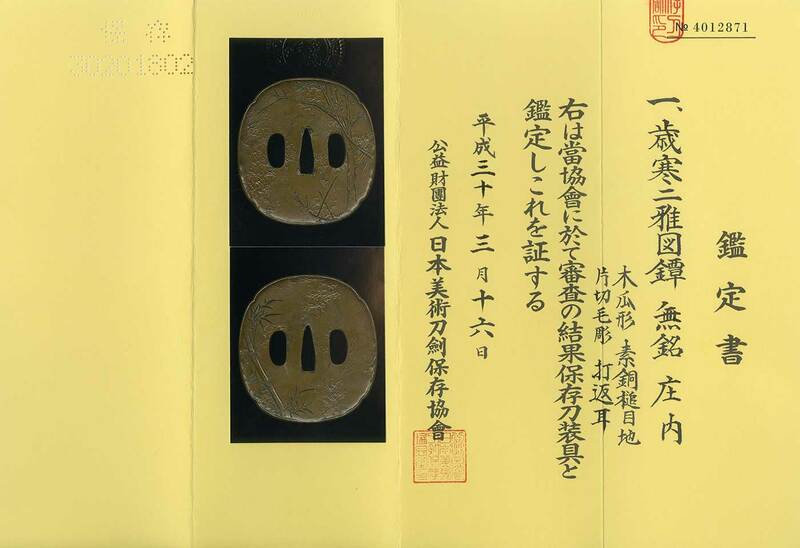 Special Feature: Oval shape copper plate,4 places engraved Kizami and judged as Shonai school. on the back, bamboo tree is engraved. At syonai some tsubas engraved copper plate. they sometimes made warms feeling Tsuba and other fittings. We feels sometimes Syosai school’s special feature from them.